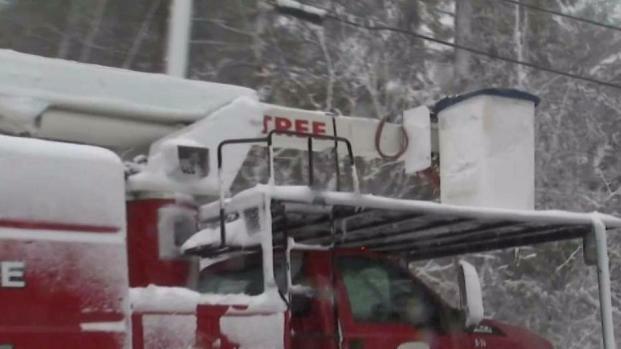 A tree worker was seriously hurt Tuesday trying to get in the bucket of his truck in Carver, Massachusetts. 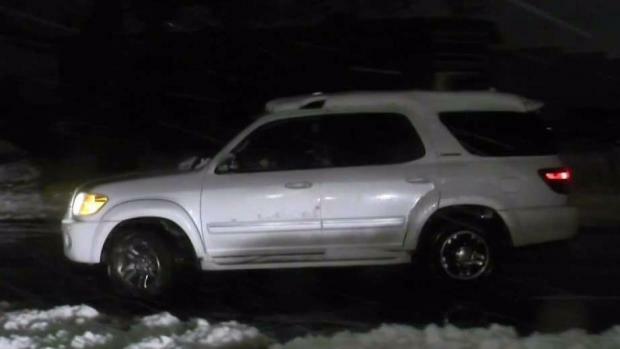 Authorities are urging caution on the roads after much of Massachusetts was pummeled with snow Tuesday. 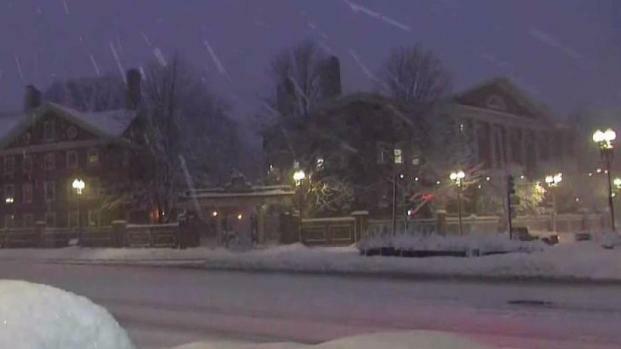 Heavy snow has fallen across New England, causing difficult driving conditions all over the region. 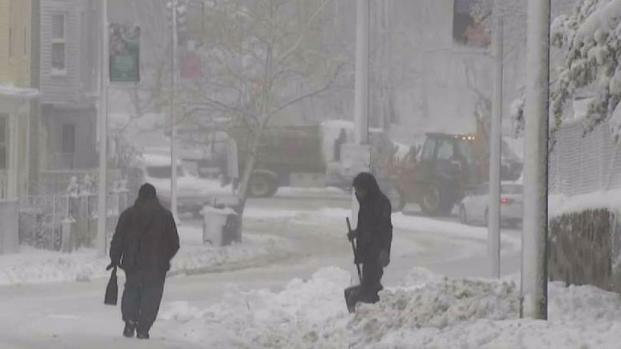 Massachusetts cities like Worcester and Cambridge received heavy snow during Tuesday's nor'easter. 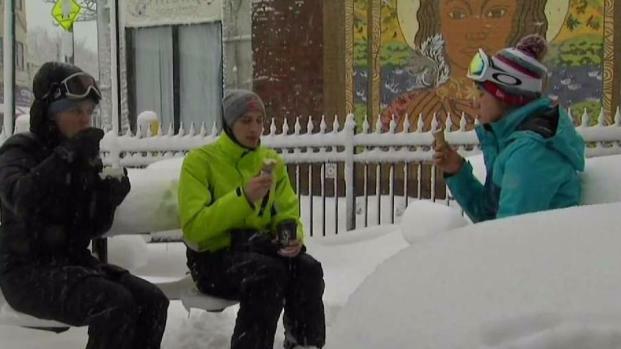 Some in Boston's Jamaica Plain neighborhood sat outside during the snowstorm to eat ice cream.